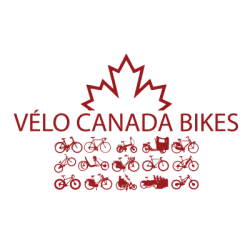 There is a need, and an opportunity for reasoned, balanced, comprehensive and effective opportunity, applied research on cycling in Canada. The concept would draw on the knowledge and best practices of academia, cycling associations and advocacy groups as well as governments, consulting companies and business organizations organizations. This innovative approach integrates academic rigour, advocacy engagement experience, business acumen and practices into a new model of pragmatic, effective and actionable research suitable for publics and decision-making audiences that includes industry and government. The research approach is cycling centric in that it fully contextualizes cycling knowledge and research as a key part of urban, rural and inter-city sustainable transportation strategies. This includes integrating cycling within Active Transportation, multi-modal travel, transit shared transportation, and other transportation modal (such as Car Share and Plug-in vehicle in vehicle) approaches. Public engagement will be a key part of the research paradigm. Initially, the proposal is to identify and talk to actors with expertise from the different sectors and to engage them to be part of the Advisory Board or a Research Fellow Institute at Canada Bikes. The goal would be to develop a standalone or associated cycling research institute that can draw upon experts from academia, business, government and the cycling communities to provide new, business-relevant and useful knowledge, prepare reasoned academic-quality reports and provide guidance on best practices for government, industry and publics.